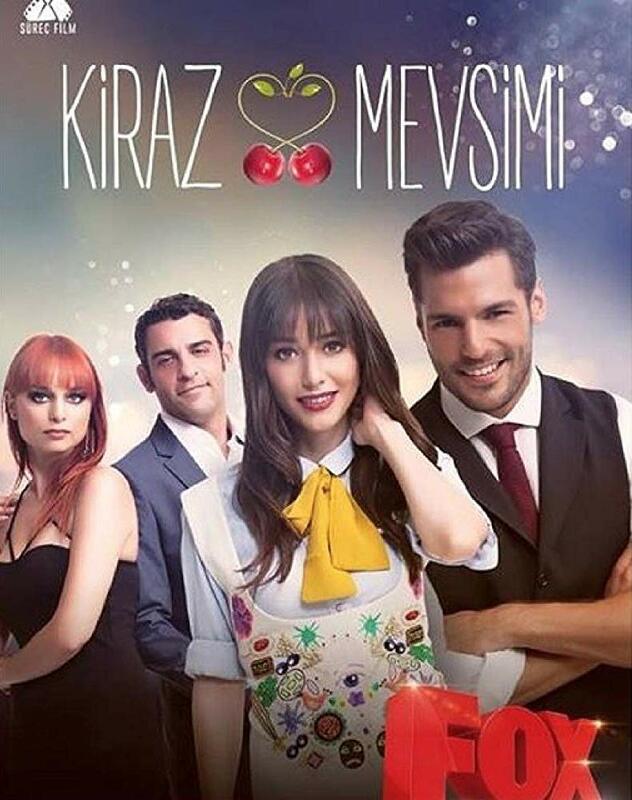 Kiraz Mevsimi is a Turkish drama series ran on Fox TV. It is also dubbed in Arabic in the Middle East on MBC 4, Urdu in Pakistan on ARY Zindagi and Indonesian in Indonesia on Trans TV and in Italian in Italy on Canale 5. Öykü’s biggest dream is to become a successful fashion designer. She lives with her mother and little brother. She’s been in love with her best friend Burcu’s brother Mete since childhood. But Mete does not feel the same. One day, Mete falls in love with Öykü’s selfish friend Seyma, so Öykü gives up on Mete. Öykü then accidentally meets Mete’s best friend and business partner Ayaz. Ayaz is a very handsome man. He falls in love with Öykü right away and even if she pushes him away, he keeps coming back. One day Burcu sends a box of chocolates and a love note to her brother, but she signs it with Öykü’s name. When Öykü finds out, she runs to Mete’s office to take the present with the note before he sees it. When she arrives, Ayaz has already read the note and he discovers that the girl he likes is in love with his best friend. In that moment Mete arrives and asks who that gift is for. Öykü, ashamed and afraid of his reaction, says that she brought the gift for Ayaz and tells Mete that she’s in love with his friend, but of course it’s a lie. So Ayaz and Öykü pretend to be a couple, until they start falling in love for real. Various Websites are Translating this series in english subtitles. Below are the links of the site.